Introducing the Sony Smartwatch 3 powered by AndroidWear. This gadget is packed with all the power of Android Wear at the touch of a button on your wrist. Pair (via bluetooth) with your Android capable or Sony Smartphone for the ultimate in Wearable Technology. Talk to it. 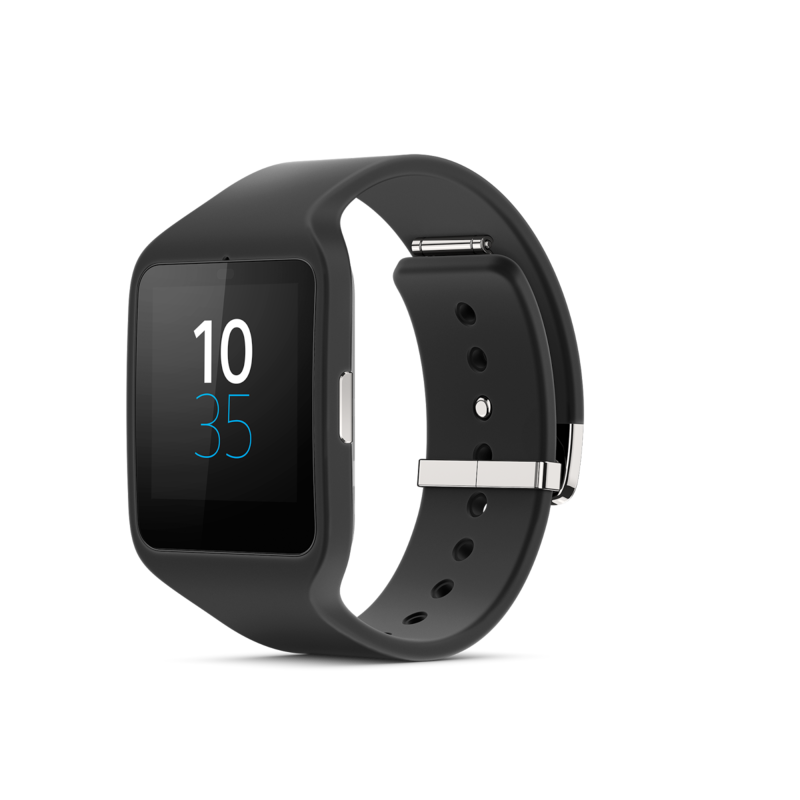 Tell the SmartWatch 3 SWR50 what you want and it will do it. Search. Command. Find. Notifications. With SmartWatch 3 SWR50 you never miss a thing. When message or other notification comes in, you feel it. At a glance. Android™ Wear is what you need at a glance. What happens on your phone is there on your wrist. Live in style. You can choose from a range of wrist straps – formal, sophisticated, casual, vibrant colours and fitness style, all made from the finest materials. The way you like it. Whatever your lifestyle SmartWatch 3 SWR50 can be made to suit it. You can choose from a range of wrist straps – formal, sophisticated, casual, vibrant colours and fitness style, all made from the finest materials. Discover the details. Designed to perform and impress, the SmartWatch 3 SWR50 delivers a groundbreaking combination of technology and style. Downloadable apps let you customise your SmartWatch 3 SWR50 and how you use it. Tell the smartphone watch SmartWatch 3 what you want and it will do it. Search. Command Find.